The final outcome will unfold no matter what Canada does. But unless the Trudeau government gets a grip on reality Canada will be drawn into this potential catastrophe by virtue of foreign policy positions it has already taken. 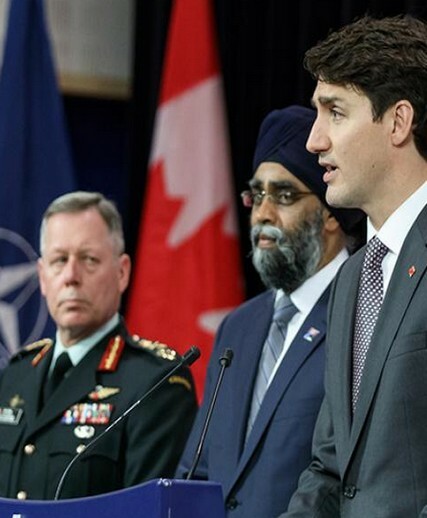 Geopolitics is getting incredibly complex and there is little evidence that the Liberal government has a clue how to navigate through the dangers. 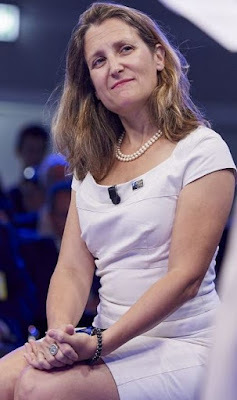 The problem is that despite all the hype about “being back” Canada’s foreign policy under Trudeau and Freeland is still characterized by cynicism and ill-considered trade-offs on files within the broad spectrum of foreign affairs – including investor rights agreements like NAFTA and the Trans Pacific Partnership. And the Middle East is a whole other question. Canada’s past sins like torture in Afghanistan, and the destruction of Libya can be dismissed by the government as old news. Canada has thankfully avoided getting re-involved in the chaos that is Middle East politics. 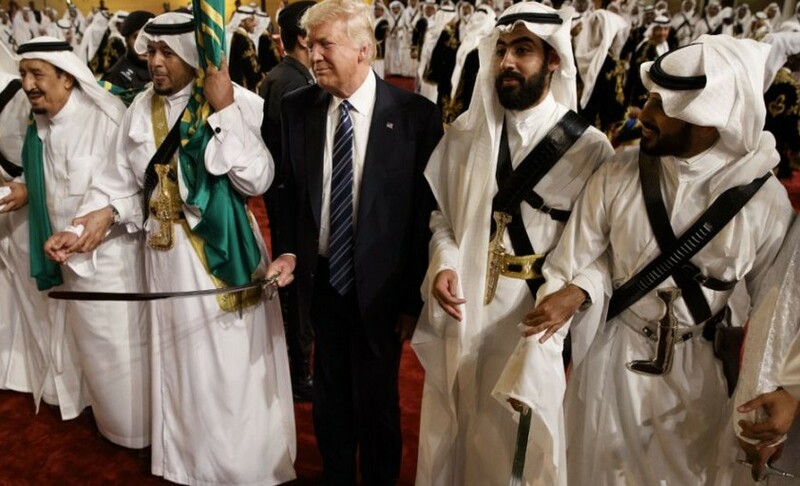 But with the coming to (absolute) power of the new and reckless Saudi ruler Mohammad bin Salman Middle East policy is suddenly fraught with danger and risk for any country allied with the US or with any claim to interests in the region. The new Saudi prince (who has arrested everyone who might challenge his authority) is encouraging Israel to invade Lebanon, urging the Israelis to do what they want to do anyway: deal a crippling blow to Israel’s most effective foe, Hezbollah. Hezbollah basically governs Lebanon and has its own well-armed force. Funded by and allied to Iran, it fought the Israeli army to a standstill in 2006. It is this fact that prompted the Saudi’s to force the resignation of the Lebanese Prime Minister Saad Hariri: he refused or was unable to curb Hezbollah’s political power. The Saudi government upped the ante saying the Lebanese government would “be dealt with as a government declaring war on Saudi Arabia.” It ordered all Saudi citizens to leave Lebanon. For the Saudi’s the ultimate target is Shiite Iran and its significant influence in the Middle East and presence, directly or indirectly, in Lebanon, Syria, Iraq and Yemen. When bin Salman declared that a rocket attack on Riyadh by Yemeni rebels could be seen as an act of war by Iran, the US backed him up, implicitly giving the Saudi dictator a green light for more aggressive action. Given the political situations in the he US, Israel and SaudiArabia all sorts of sorts case scenarios are now being speculated about. With the potential for a rapid escalation of military confrontations, to the point of risking a confrontation between the US and Russia. The first would be an Israeli assault on Hezbollah and Lebanon’s infrastructure. That could be followed by a Saudi-led invasion of Qatar and the removal of its government. 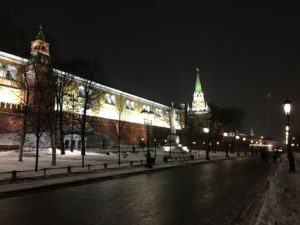 While less likely, another confrontation could see the US launch a campaign to seize Syrian territory reclaimed by the Assad regime, on behalf of Israel and risking a direct confrontation with Russia. All of this could be a prelude to an attack on Iran itself and possibly the use by Israel of nuclear weapons. 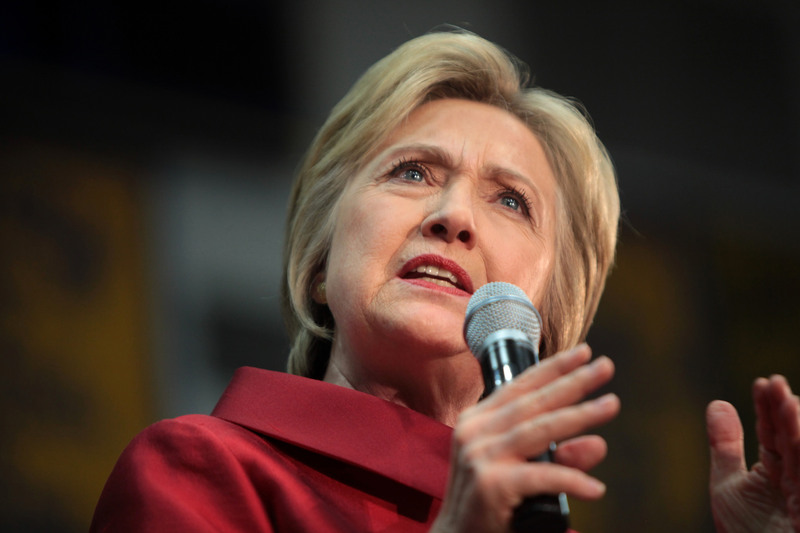 The rich potential for unintended consequences includes world war three. If all of this sounds fantastical consider who currently runs Israel, the US and Saudi Arabia. Netanyahu is mired in his own corruption scandal and needs a distracting war to survive. Bin Salman has already demonstrated a stunning recklessness and ruthlessness: the brutal bombing of Yemen (and now a blockade of food and medicine), the blockade of Qatar, and the house arrest of another country’s prime minister. As for Trump (and some of his generals) he seems to genuinely believe that the US is invulnerable, a truly suicidal assumption. All three heads of state adhere to the doctrine of exceptionalism: the normal rules of international behaviour don’t apply to them. If one or more of these scenarios begins to play out just what will Trudeau do? His government’s policy towards Israel is driven by political cowardice rooted in fear of the Israel lobby. Towards Saudi Arabia, it is driven by sales of armoured personnel carriers and a blind eye towards gross human rights violations. 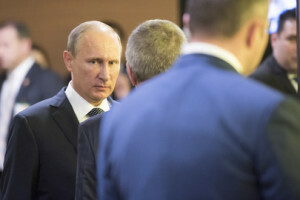 With respect to the US it is characterized by ad hoc efforts to predict the unpredicatable. If any of this war scenario plays out Trudeau will suddenly be pressed to come up with principled positions in response and not just political opportunism and calculated ambiguity. And he should take note: Canadians’ attitudes towards Israel have turned very critical with 46 percent expressing negative views and just 28 percent positive views of that country. As for our proposed $15 billion arms sale to Saudi Arabia, 64 percent disapprove. The disgraced film producer contracted the firm Israeli firm Black Cube to spy on his accusers. Journalist and best-selling author Max Blumenthal says that's no surprise given Israel's role as a "leading expert on repression". 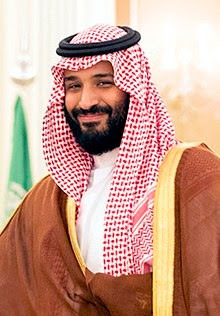 Two weeks ago, Saudi Crown Prince Mohammed bin Salman carried out a brutal crackdown on his political opponents, arresting dozens of high-ranking relatives, kidnapping the prime minister of Lebanon, and seeing eight of his political rivals die in a convenient helicopter crash. 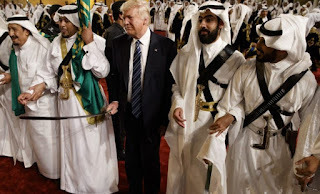 The “consolidation of power” by the de facto Saudi ruler comes as his government ramps up its siege of Yemen and gets even closer to its US sponsor, thanks to a Trump’s dopey love affair with—and direct assistance of—the regime. 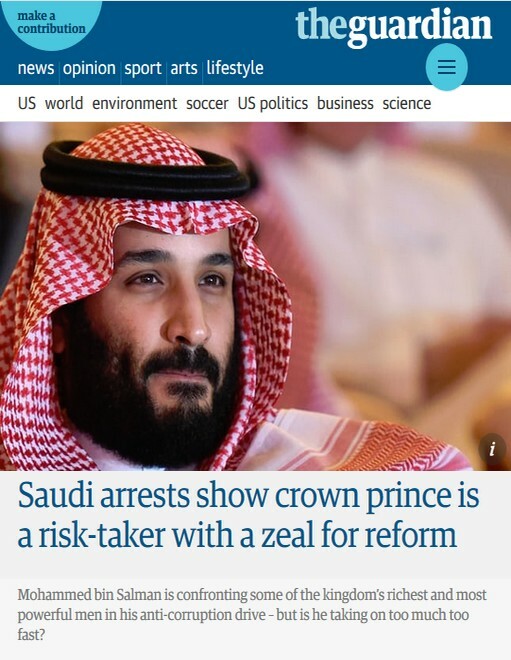 The cynical plan has been met, in some media quarters, with condemnation, but for many in the Western press, Mohammed’s self-serving power grab is the action of a bold “reformer,” a roguish bad boy doing the messy but essential work of “reforming” the kingdom—the “anti-corruption” pretext of the purge largely repeated without qualification. “Saudi Arabia’s leadership has pulled off its boldest move yet to consolidate power around its young crown prince, Mohammed bin Salman, arresting 11 senior princes, one of the country’s richest men and scores of former ministers in what it billed as a corruption purge. One could come away from reading this lead with the impression that the billionaire aristocrat was a populist folk hero in the vein of Robin Hood or John Dillinger. “Prince Mohammed will oversee the corruption commission, adding to his already formidable list of responsibilities, including his role as Defense minister and champion of the economic transformation, dubbed Vision 2030, that aims to revolutionize most aspects of Saudi life within 12 years. The article painted the “consolidation of power” by Mohammed as an inevitability with broad support—using the dubious “reform” narrative without irony. With Guardian editors again painting Mohammed as a populist hero by insisting he “upended” “previously untouchable ultra-elite,” one is left to wonder why they don’t consider the absolute-monarch-in-waiting—who just bought a $590 million yacht—part of the “ultra elite.” It’s a curious framing that reeks more of PR than journalism. This was a trope one could see emerging over the past few months. 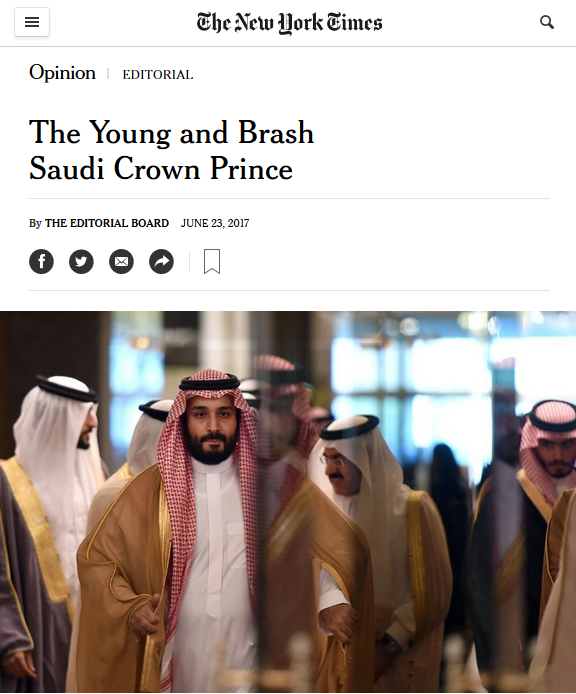 Similar “bold reformer” frames were used in New York Times editorials (“The Young and Brash Saudi Crown Prince,” 6/23/17) and straight reporting (“Saudi Arabia’s Grand Plan to Move Beyond Oil: Big Goals, Bigger Hurdles,” 10/24/17). Everything’s new and exciting. The brutal, routine functions of the Saudi state are seen as laws of nature—and those in charge of it are the reformers of the very oppression they initially authored. A Guardian editorial on November 7 was critical of the government, calling it “regressive” and Mohammed “belligerent,” but ultimately rested on “both sides” framing of recent events. The only meaningfully critical coverage of Saudi Arabia coming from the Guardian since the purge has been in two articles (11/12/17, 11/16/17), both in the context of Saudi Arabia’s war on Yemen. Neither mentioned bin Salman, and both stressed how the Saudis are responding in earnest to international pleas to stop their mass-murdering blockade of the Arab world’s poorest country. 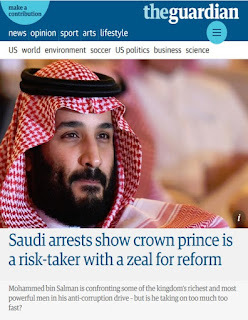 Per usual, the Guardian reserves the label “regime” for Official Enemies like Syria and North Korea; Saudi Arabia doesn’t have a regime, it has “leadership.” Unlike adversary governments, often seen in need of “regime change,” the Saudi government merely requires “reform”—and a bold new “reformer,” of the sort championed by the likes of the Guardian and New York Times. You can send a message to the New York Times at letters@nytimes.com , and to the Guardian at guardian.letters@theguardian.com (Twitter: @NYTimes, @Guardian). 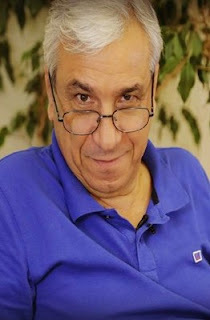 Some western “Liberals” and “Leftists” pay homage to Yassin al-Haj Saleh, an intellectual leftist of the ‘Syrian Revolution’. In fact Saleh represented only a tiny part of Syria’s left. He was ‘persecuted’ because he aligned himself with the 1980 and 2011 bloody uprisings by the sectarian Muslim Brotherhood, and their international Salafist (al Qaeda) supporters. In the end he had to flee for his life from those same sectarian terrorists. With popular forces in Syria/Iraq destroying globalised sectarian jihadist mercenaries – sponsored principally by Washington and the Saudis – some ideologues in colonial cultures still nurture the romantic idea of a ‘Syrian Revolution’ that tragically failed. This is also a myth propagated by the Muslim Brotherhood and their western sponsors to cover an otherwise naked aggression against Syria. It is a myth that matters much less now, as such propaganda no longer has the capacity to fuel deeper NATO intervention in Syria. Yet it seems important for the self-image of small groups of western pseudo-leftists, who committed themselves to the cause of ‘red-washing’ Washington’s latest war of aggression, backed by the most reactionary forces in the region. By pseudo-leftist I mean those fanatic ideologues who cling to their fantasies, showing little interest in what the masses of ordinary people want. Those ‘Syrian Revolution’ fans betrayed the Syrian people, just as they betrayed the people of Libya, Cuba and many other small countries, when under attack from the big powers. But imagine the western pseudo-leftist’s delight on meeting an apparently like-minded individual Syrian. Enter Yassin al-Haj Saleh, author and proud backer of what he imagined might be a socialist revolution in Syria. His aptly titled book ‘The Impossible Revolution’ (Haymarket Books September 2017) spells out his failed dream and angry disillusionment. He claims to have been caught between “the hammer of Bashar al Assad’s counter-revolution and the anvil of his reactionary Islamic fundamentalist opponents”. On closer examination, his personal dilemmas seem entirely of his own making. Saleh was jailed for 16 years (1980-96) under Hafez al Assad, for what he and his fans and publisher call ‘activism’. Does this mean ‘dissident’ or ‘peaceful protestor? In fact his party had aligned itself to the bloody and sectarian Muslim Brotherhood insurrections of 1979-1982. In this article I will discuss the implications of that decision. Conditions in prison were terrible he says, but adds that he read “hundreds of books [and] … I learned more there than at university”. Not all prisons allow for such study. He had been a member of the Syrian Communist Party (Political Bureau), and so boasts socialist credentials. In 2011 he joined the ‘revolution’, moving from East Ghouta to Raqqa. There, fearing DAESH in 2013 he left the country. He survived the ordeal and published his book in 2017. (3) the West (the USA, UK, France, etc). In other words, a plague on all their houses. Such cynicism, if popular, is weak analysis. We know from independent Turkish pollsters TESEV that, by the end of 2011, only 5% of Syrians supported ‘violent protest’, the lowest figure in the region (c.f. 33% in Tunisia and 31% in Palestine) (TESEV 2012: 15). The big influx of foreign jihadists in 2012 would have hardened views against jihadist violence. And we know that the Syrian Arab Army, after some relatively small defections in the first year, did not fracture on religious grounds, as the Salafists had hoped. (c) in particular, it whitewashes Saleh’s own foolish collaboration with sectarian Islamists. You don’t have to buy Saleh’s book, as most of his arguments appear in an extended interview with Ashley Smith, in the US journal International Socialist Review. Smith is a member of the US International Socialist Organization, a Trotskyist group drawing on the ideas of the late Tony Cliff. 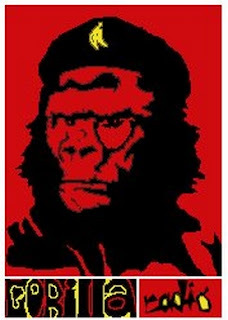 Prominent amongst those ideas is Cliff’s theory of ‘state capitalism’, which suggests that there has never been a true ‘socialist’ revolution and that all capitalist and ‘state capitalist’ nation-states must be smashed and rebuilt. That line is quite consistent with support for attacks on any state, progressive or otherwise, as also with alliance with imperialism and reactionary forces to do so. To what extent that sort of Trotskyism is consistent with Saleh’s view is another matter. However we know these things about Saleh. First, his Communist Party (Political Bureau) faction was a tiny ‘Maoist’ splinter from Syria’s main Communist Party, back in the late 1970s. The main reason for this split was that Saleh’s faction wanted to ‘form an alliance’ with the Muslim Brotherhood, as they engaged in a series of sectarian attacks on the Syrian state (Gambill 2001). Most Syrian communists sided with the Ba’ath socialist state. However Saleh and his former leader, Riyad al Turk, persisted in their subordinate ‘alliance’ with the al Qaeda linked Muslim Brotherhood, into the 2000s (Pace 2005). “The artillery school massacre of June 1979 marked the start of full-scale urban warfare against Alawis [and] against Ba’ath party officials … when cornered they often blew themselves up with grenades … In Aleppo between 1979 and 1981 terrorists killed over 300 people, mainly Baathists and Alawis but including a dozen Islamic clergy who had denounced the murders” (Seale 1988: 324-325). All the other opposition parties, including most communists, rejected the Muslim Brotherhood’s sectarian terror; but not Saleh’s sect. Collaboration with the Muslim Brotherhood terrorists is why Saleh received a long jail term in 1980, not because he was simply an ‘activist’. Muslim Brotherhood terror has been romanticised over the years. At the end of the 1979-1982 attacks a final Brotherhood insurrection at Hama city was put down by Hafez al Assad. Revisionist historians these days, including many western writers, claim there was a large ‘civilian massacre’ at Hama in May 1982. For example author Rafaël Lefèvre (2013: 77) credulously reports: “While initial reports suggested 10,000 civilians were killed, other reports put the number as high as 40,000”. This is poor revisionist history. Seale (1988: 333-334) observes that Hama 1982 was a serious conflict, not a ‘civilian massacre’. The Hama insurrection “was a last ditch battle” for the Brotherhood and it “raged for three grim weeks .. many civilians were slaughtered in the prolonged mopping up … in nearly a month of fighting about a third of the historic inner city was demolished”. On overall casualties he notes that “government forces too suffered heavy losses to snipers .. and grenades”, while total losses of life were controversial even at the time, “with government sympathisers estimating a mere 3,000 and critics as many as 20,000”. “the Islamic Revolution in Syria, the Nom de Guerre for the Muslim Brotherhood … [spoke of] the rebels’ seizure of the city and the execution of some 50 “spies and informers” … about 3,000 government forces had been killed, according to the communique … the total casualties for the Hama incident probably number about 2,000. This includes an estimated 300-400 members of the Muslim Brotherhood’s elite Special Apparatus … the Syrian Government defeated the fundamentalist[s] … most Syrians, regardless of their difference with the present government, do not want the Muslim Brotherhood in power … [but] their modus operandi will continue to be terrorism, particularly bombings and assassination” (DIA 1982: 6-7). “When the  revolution broke out I went into hiding … [and] while I was writing I was directly involved in the struggle” (Smith 2017). His greatest claim to fame was to be one of the founders of the ‘Local Coordinating Councils’ (LCCs), indeed he says he was “the main author of the first political statement LCCs issued in June 2011” (Smith 2017). This tells us that the apparently secular language of the LCCs masked the faces of Muslim Brotherhood collaborators. In any case, we know that the LCCs were little more than a fig leaf on the thoroughly sectarian insurrection, dominated by Syrian Muslim Brotherhood groups until 2012. Then they were displaced from leadership by their international jihadist partners, in the form of Jabhat al Nusra (al Qaeda in Syria, set up as a support group for the Syrian Salafis) and DAESH / ISIS, an outreach of al Qaeda in Iraq (AQI). As I wrote in my book The Dirty War on Syria (Anderson 2016: 83-84), the LCCs were seen as having a mainly media or PR role in 2011 (Asi Abu Najm 2011) and, by 2013, they were embedded with the Islamist groups, mainly reporting on jihadist casualties (LCC 2013). Yassin al-Haj Saleh says he fled from East Ghouta to Raqqa, before leaving the country. However his early presence in Douma (East Ghouta) demonstrates how reliant he had become on his Salafist partners. For many years Douma had been dominated by Jaysh al Islam, in alliance with Jabhat al Nusra. Although the civilian population there has been decimated, from many thousands fleeing the conflict, it remains one of the few areas in Syria with a social base for sectarian extremists. The same can be said about Raqqa. Both areas had a strong, reactionary culture, with women in burkas and families preferring to send their children to a Salafist-led mosque than to school. “Internally, events are taking a clear sectarian direction. The Salafist, the Muslim Brotherhood and AQI are the major forces driving the insurgency in Syria … there is the possibility of establishing a declared or undeclared Salafist principality [i.e. Islamic State] in eastern Syria (Hasaka and Der Zor) and this is exactly what [the US and its allies] want, in order to isolate the Syrian regime” (DIA 2012 in Hoff 2015). Washington knew it and most Syrians knew it. The head of the Syrian Brotherhood, Muhammad Riyad Al-Shaqfa, issued a statement on 28 March 2011, which left no doubt that the group’s aim was sectarian and their target was what they perceived as a secular state. The enemy was “the secular regime”, he said, and Brotherhood members “have to make sure that the revolution will be pure Islamic, and with that no other sect would have a share of the credit after its success” (Al-Shaqfa 2011). International jihadists, in the form of Jabhat al Nusra (al Qaeda in Syria) appeared in Homs in early 2011, specifically to help the Farouq Brigade (then the largest ‘FSA’ group) with its infamous genocidal slogan ‘Alawis to the tomb, Christians to Beirut’ and genocidal practice: the sectarian murder of supposedly apostate Muslims and the ethnic cleaning of Christians. Those slogans and practice were reported as early as 5 April 2011 (Farrell 2011) and in the New York Times in May (Shadid and Kirkpatrick 2011). Tens of thousands of Syrian Christians from Homs were indeed driven to Beirut (CNA 2012). Claims that the “Assad regime” was behind the sectarianism were simply dishonest. Whatever their views of the Ba’athist system, most Syrians, and particularly the minorities, swung behind the Syrian state and the Syrian army very quickly. As international jihadists (mainly from the Arab world, North Africa, the Caucasus and Europe) joined the Syrian Salafis in large numbers in mid-2012, even the western media began reporting that these were fanatics, not revolutionaries. “all of them, are loyal to the criminal Bashar, they inform on us” (Abouzeid 2012); and that the people are “all informers … they hate us. They blame us for the destruction” (Ghaith 2012). But, they went on to say, they had God on their side. James Foley, himself subject to a theatrical style execution by DAESH in 2014, reported two years earlier that the FSA ‘rebels’ had little public support. Indeed one leader promised Aleppo ‘would burn’, because the people there did not support the ‘revolution’ (Foley 2012). Unpopularity is fatal to a revolution; to a religious fanatic it is merely inconvenient. It is impossible that Saleh – an ideological fanatic, but an educated fanatic – did not know all this. Even if he himself was not an sectarian Islamist, he knew that the extreme sectarians with whom he collaborated in 1979 and again in 2011 were leading his ‘revolution’. Saleh maintains his own self-serving myths about the conflict: that the ‘Assad regime’ was the source of sectarian violence, that Sunni Muslims and Kurds were oppressed, and that the US and its minions really supported the Assad Government. Saleh claims that the Obama administration (despite its repetitive and imperious ‘Assad must go’ demands) really wanted “regime preservation not regime change” (Saleh in Smith 2017). It is hard to see how any reasonable person can take this seriously. We even have admissions from senior US officials, including former Vice President Biden and former head of the US military Martin Dempsey, that the ‘Arab Allies’ of the US financed every jihadist group from the ‘Free Army’ to DAESH / ISIS, precisely to get rid of Assad. More recently, former Qatari Foreign Minister Hamad Bin Jassimadmitted that his little petro-state coordinated with Saudis, Turkey and the US to support all anti-Government jihadist forces (Syriana Analysis 2017). Saleh’s former mentor, Riyad al Turk (who “liked” Saudi-backed Lebanese Prime Minister Rafiq Hariri), was calling for US military assistance in 2005 to help “the opposition” get rid of the Assad Government (Pace 2005). Of course he did not represent the Syrian Opposition. In the Damascus Declaration (2005), while making harsh criticisms of the Baathist system, most Syrian opposition groups specifically renounced violent attacks on the state and outside intervention. The Muslim Brotherhood and its hangers on, in contrast, always wanted violence with US and/or NATO assistance. Saleh’s claim to fame as a secular communist against ‘the regime’ is undermined by how unrepresentative his small group was of Syria’s communists. He, like al Turk, criticises most other communists who “supported the regime” (Smith 2017). So how much support did his faction have? Al Turk maintained “we don’t announce how many members we have” (Pace 2005), but Gambill (2001) suggests it was “very little”. Syria’s main Communist Party split in the mid-1980s (over Gorbachev’s policies), into two groups. Both stood candidates in the Peoples’ Congress (Majlis al Shaab) elections of 2007, 2012 and 2016, gaining 8, 11 and 4 MPs out of 250, respectively. That indicates that Syria’s main communist parties had electoral support of between 80,000 and 140,000 Syrian voters (IDEA 2017; Syrian Parliament 2017). We have no way of knowing how much support there ever was for the Communist Party (Political Bureau), or its successor the ‘Syrian Peoples Democratic Party’. But ask yourself, how many genuinely secular Marxists would collaborate with sectarian, al Qaeda styled Islamists? Pseudo-leftists in western countries – who for years held on to the Washington-promoted fiction of a ‘Syrian Revolution’ – are desperate for token Syrian ‘hero’ on which to hang their fantasies. That could be an ex-Islamist or an ex-communist; they don’t look too closely to see where these people come from. This desperation highlights their failure to confront actual history, and to care about the things that matter to ordinary people. Yesterday, the Keystone pipeline cracked and dumped 210,000 gallons of oil onto the South Dakota prairie. Here’s the reason the pipeline burst: the PIG didn’t squeal. The PIG, the Pipeline Inspection Gauge, is sent through the Keystone to check for evidence of any leak, failure, or corrosion that will cause it to burst. But the PIG didn’t squeal a warning. Because, as disclosed in my investigation for Britain’s investigative TV series Dispatches in 2010, the PIG has been silenced, its software jacked and hacked by a company that provides PIGS. 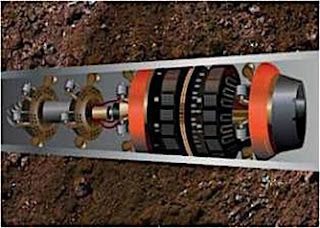 The software is deliberately set to reduce the warning signals and thereby cut costs of replacement and repair by billions of dollars on the Keystone and other pipes. We warned you. In the Dispatches report, in our print reports, and in the "The Pig in the Pipeline", a chapter in Vultures Picnic. We have obtained independent confirmation from three software engineers who designed the PIG "warning" system. Stay informed, get the signed DVD, a signed copy of the book companion — or better still, get the Book & DVD combo. Visit the Palast Investigative Fund store or simply make a tax-deductible contribution to keep our work alive! Alternatively, become a monthly contributor and automatically receive Palast's new films and books when they're released! Subscribe to Palast's Newsletter. Follow Palast on Facebook and Twitter. Tofino, B.C. - I am sitting in a boat near a Marine Harvest fish farm in the Broughton Archipelago...I walk outside and the air stinks of acrid, penned Atlantic salmon and feed pellets that are continuously sprayed into the pens. The sound of the sprayers never ceases. It is depressing to see these fish leaping in the air trapped in these stinking pens. Salmon should never be in pens. This farm has been occupied by local First Nations for almost three months now. There are multiple First Nations involved, very dedicated people. There is a camp in the woods of kayakers standing by to help...they call themselves Kyactivists. These are public lands, public waters. There is another camp of people at a land based house nearby that was built by Marine Harvest which First Nations occupied. Marine Harvest has several land based houses for workers, leased quite permanently (it seems) for comfort and ease of access. At the farm, 5 pens are empty as the protest has so far prevented more Atlantic salmon from being restocked and 4 are full of approximately 8 month old fish. Marine Harvest does not have permits to restock at this time yet are determined to go ahead. There are about 4 to 5 boats belonging to supporters of the protest with people aboard them, providing support, transportation and warmth. The weather has been stormy, cold and wet...it is mid November 2017. First Nations people...Chiefs and their families, have maintained a presence here since August, with two young women, Molina Dawson and Karissa Glendale, in their early twenties, of the Musgmagw and Namgis First Nations, living on the floats. Chief Ernest Alfred and other hereditary First Nations of Alert Bay occupied Swanson Island fish farm and Wicklow fish farms this fall. Marine Harvest came in and stocked the pens in front of the Chiefs who were occupying the farm in full traditional regalia. Seven people have set up a camp in the woods nearby, treating the area with great respect and understanding, one of them doing his doctorate in law and jurisdiction. It is a sweet space with big trees and a creek bubbling nearby, (photos available). Marine Harvest has gone to court seeking an injunction to have everyone removed. The judge has given both parties until Dec. 14th to present their case and in the meantime the First Nations agreed to remove their occupation and buildings. Marine Harvest wants to go ahead and restock the empty pens with Atlantic salmon smolts despite First Nations demanded they don't. Things are at a standstill right now, sad that nothing is preventing more Atlantic salmon and diseases to continue to prevail in B.C. waters, especially after such a concerted effort to bring about positive change to such a destructive process as fish farmig. So much and so many are losing ... commercial fishermen, sports fishing, families dependent on the wild salmon resource, bears, eagles, trout, marine life like seals, sea lions, and so much more...it is impossible to weigh the values of what wild salmon have provided for the coast. 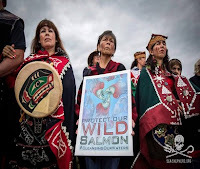 Wild salmon are on the brink of disaster...wild stocks are crashing, Alaska has closed all Chinook fishing and bears and more have been starving on the coast. Sea lice are out of control all over the world where these farms exist and have been found on emaciated trout, ling cod, herring and more. An application for 18 hectares of pesticide use has been made for Clayoquot Sound waters by another fish farm company, Cermaq, owned by Mitsubishi and operated out of Norway. We are all losing while others are profiting from our loss. How far does this go...until our amazing wild salmon are extinct? I hope for sanity to prevail.... 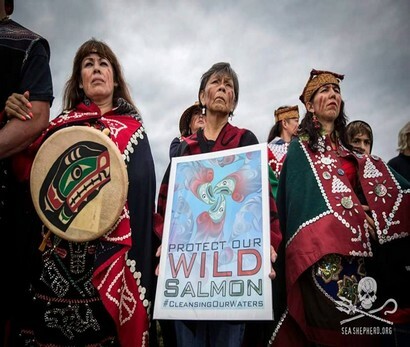 If this doesn't turn around now, the irreplaceable loss of our wild salmon migration and all it nourishes will be one of the greatest regrets of this century. Sincerely, Susanne Lawson, Tofino, B.C. Death in the Cradle: Is Troika the End of Greek Democracy? The Real News has returned to Greece for the fourth time in three years to explore the development of the economic crisis and in particular, to examine whether a given current economic reality is, it can be persuasively argued that Greece has began to emerge from that economic crisis. And today we are with Panagiotis Lafazanis who is the leader of the party that was founded in 2015 in the aftermath of the rebellion within the governing Syriza party. That party is called the Popular Unity Party. And Mr. Lafazanis was the leader of the left-platform of Syriza before leaving Syriza to form Popular Unity with other Syriza leftist MPs who were not satisfied with the Tsipras government's adoption of an austerity program. More than six weeks have passed since the president of Catalonia defied the federal government, holding an independence referendum. The reaction by Spain's prime minister, Mariano Rajoy was swift and definitive; declaring the upstart region's government null and void and Catalan president, Carles Puigdemont, (along with several of his party's key ministers) criminals; and by decree rendering the independence movement itself effectively illegal. Today, Puigdemont is in exile, out on bail in Brussels after being arrested on an EU warrant, and prime minister Rajoy has scheduled elections for a replacement government in Catalan for December 21st, Señor Puigdemont's participation being expressly unwelcome. And; next week Victoria will host inveterate American activist and singer/songwriter in the tradition of Woody Guthrie and Pete Seeger, David Rovics to town. It will be the first time I get a chance to talk to David since he dramatically dropped out of the US presidential race in 2015. We can now just wonder, if only he had stayed in the running, "What might have been?" David Rovics bringing a world of politics and music to Victoria's doorstep in the second half. 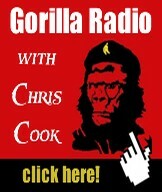 And; Victoria-based activist and CFUV Radio broadcaster at-large, Janine Bandcroft will be here at the bottom of the hour with the Left Coast Events bulletin update of good things to do in and around our town in the coming week. But first, Pablo Ouziel and an increasingly darkening horizon for both Spain's and European democracy. After several months of investigation into the strangling of U.S. Army Green Beret Logan Melgar, the accounts of those at the center of the homicide investigation – two members of the famed Navy SEAL Team Six – have unraveled. The killing occurred while the SEALs and Melgar were on a secret assignment in the West African nation of Mali, where they were said to have been helping with training and counterterrorism efforts led by local and French forces. Following Melgar’s sudden death, found by an autopsy to have been the result of “homicide by asphyxiation,” the two SEALs told their superiors that Melgar had been drunk and later became violent. 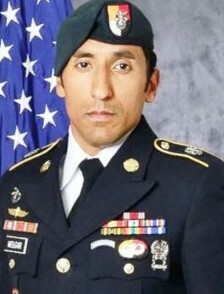 killed while on a secret assignment in Mali. However, Melgar’s autopsy showed no presence of alcohol or drugs at the time of his death and several sources, including Melgar’s wife, stated that he did not drink. Melgar’s wife later gave emails to investigators, including one in which Melgar told her that he had “a bad feeling” about two of his partners, both of whom were members of SEAL Team Six. Now, as the Daily Beast reports, two special-operations sources have confirmed the likely reason for Melgar’s sudden death. Melgar had allegedly discovered that the two SEALs in question were illegally pocketing money from a fund used to pay informants in counterterrorism efforts. The SEALs had offered to let Melgar in on the scheme, but Melgar refused. A day later he was dead. The New York Times noted late last month that the investigation “threatened to stain” the sterling reputation of SEAL Team Six. Indeed, the unit has practically become a household name in the United States following its reported participation in a 2011 high-profile raid on a compound that was said to have housed Osama bin Laden — owing in part to the enshrinement of the raid in a high-profile movie and book that were later found to have been highly imaginative in their portrayal of events. However, despite its fame and repute for allegedly having “taken out” Osama bin Laden, SEAL Team Six has been no stranger to controversy, and Melgar’s untimely death is just the latest in a string of incidents that highlight the group’s more sinister side. SEAL Team Six’s dark side has become more well known in recent years — in parallel with the group’s transformation from small elite squadron to “global manhunting machine” that has killed numerous suspected militants, as well as civilians, over this period. The testimony of former members and officers has revealed that the much-celebrated SEAL team now regularly partakes in so-called “revenge ops,” extrajudicial killings, mutilations of the deceased and other war crimes – crimes that were not only tolerated by the command’s leadership but also covered up. Numerous high-profile raids performed by the SEALs since 9/11– such as a 2009 rescue mission meant to deliver Capt. Richard Phillips from the hands of Somali pirates — illustrate the less glamorous side of the group. That operation saw members of SEAL Team Six shoot and kill pirates – though the authorization to shoot was never given – and saw over $30,000 in cash previously taken by the pirates disappear. Though the SEALs were suspected of stealing the money, the money was never found and no charges were ever filed for its disappearance nor for the group’s decision to shoot without authorization. Despite the controversy, the mission was turned into a Hollywood movie starring Tom Hanks. In addition, the mutilation of the bodies of the deceased became fair game for members of SEAL Team Six, as evidenced by the widespread practice of “canoeing” — in which rounds are fired into the foreheads of the deceased in order to split open the skull and expose brain matter. The practice – referred to by a former SEAL Team Six leader as “sport” — became so common that the head of the Joint Special Operations Command (JSOC), which oversees SEAL Team Six, was forced to require “full photographic accounting” of the dead to ensure mutilation was kept to a minimum. Given SEAL Team Six’s culture of lawlessness and impunity, Sergeant Melgar’s death can hardly be seen as an isolated incident. Instead, Melgar’s death is just the latest confirmation that the most celebrated and mysterious group of the U.S. military continues to function with minimal oversight, control, and accountability — producing a climate in which criminality has become tolerated to the point that even other members of the U.S. military are not safe. This is just nonsense from Trump. Corruption is and has been everywhere in Saudi Arabia. How else could it be with all the countless billions changing hands in a fairly closed society? Yet only North Korea is vociferously criticized and sanctioned by the US and its allies. Is this fair? And is it just that North Korea is bullied and sanctioned for developing a self-defense? On the one hand we have a self-designated Jewish State that was carved out from a landmass colonized by Britain. 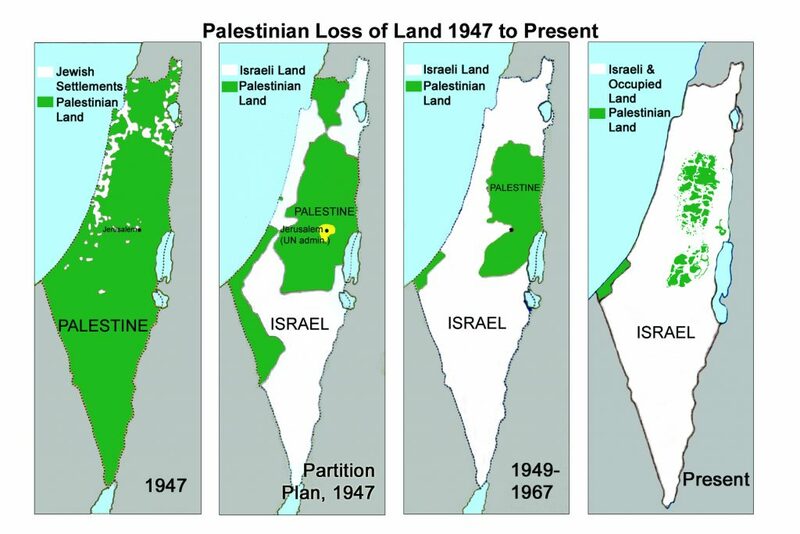 Britain passed the matter to the UN which took a chunk of the land and gave it to others, without the consent of the Palestinian people who for millennia have lived, loved, played, worked, and farmed there. Israel, the Jewish state, ethnically cleansed 800,000 non-Jews from the land and later expanded its non-declared borders. Israel is clearly a racist state. All this was with the acquiescence of the US. Israel has been in contravention of several UN resolutions, in violation of the Geneva Conventions, and has never been sanctioned by the UN. In addition, the US has exercised several vetoes in the UN Security Council to protect Israel from censure. As well, Israel became a nuclear-armed state with ICBMs. Does the US demand sanctions against Israel? No, it lavishes billions upon Israel each year; currently running at $3.8 billion a year. Most of this “aid”4 is in the form of military assistance — which is being challenged as violating US law against supporting secret nuclear states. 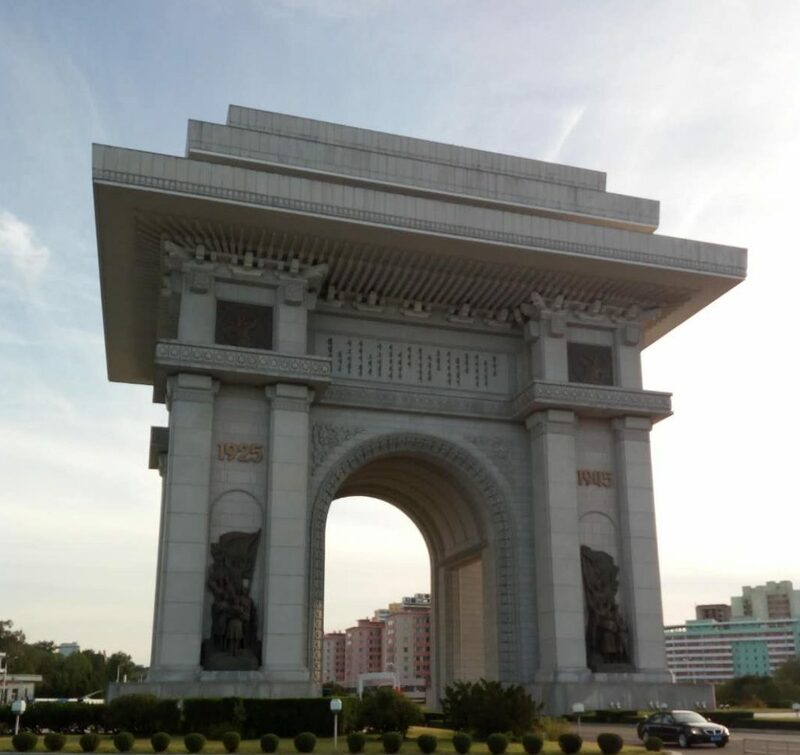 Korea, the state of the Korean people, saw its people separated into the two halves of the peninsula. This again was imposed from the outside, without the consent of the Korean people, chiefly by the US. North Korea has committed no acts of ethnic cleansing. On the contrary, it was the victim of major devastation caused by the US when the latter intervened in a civil war, committing numerous war crimes.5 The US threatened North Korea with nuclear weapons during the war on the Korean peninsula, had nuclear weapons stationed on South Korean soil for several years, has nuclear-armed warships docking in South Korea, has nuclear-armed warplanes and nuclear-armed submarines stationed in nearby Japan. 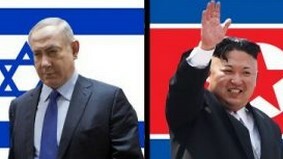 Yet North Korea, in stark contrast to Israel, is singled out for the severest vitriol from the US and its western allies. The UN bends to the US through its Security Council imposing sanctions on North Korea although it has attacked no other country. It has pursued nuclear weapons and ICBM capability as has the US, Israel and the seemingly hypocritical China and Russia, the latter two nuclear states having voted for sanctions against North Korea.